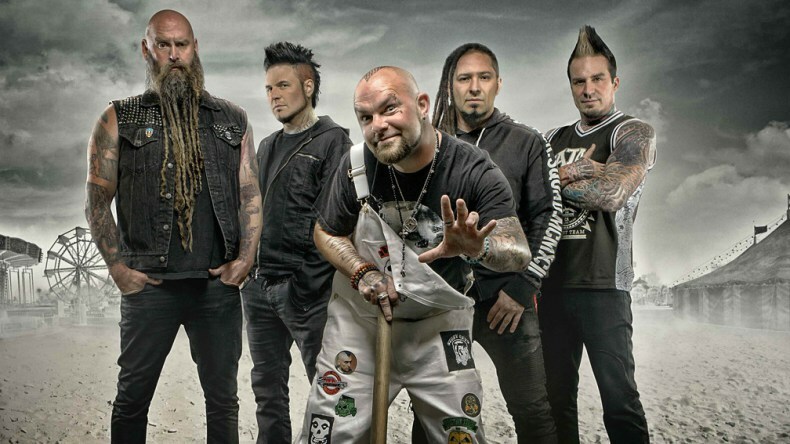 Five Finger Death Punch News: Zoltan Bathory: "We knew the title of our new album would piss off online trolls. It was perfect"
Zoltan Bathory: "We knew the title of our new album would piss off online trolls. It was perfect"
Zoltan Bathory talked about the title of the Five Finger Death Punch's new album "And Justice for None," acknowledging the obvious Metallica nod. He told Guitar World: "We were in a lawsuit with the label, and it was a long process. The thing is, no one really wins a lawsuit. So, when we were finished, 'And justice for none' was a line that Ivan [Moody] dropped. "We started thinking and decided to call the album that because it embodied the situation we went through. It's also a nod to Metallica and we knew it would also piss off the online trolls. [Laughs] It was perfect!" How does the new album differ from some of the band's previous work? "Every record is different and a time capsule of where you are at the moment. This one is a little more diverse. We always write about what's socially, politically or personally relevant. It embodies every shade of music and lyrical emotion that's happened to the band over the last few years." "I'm really into film scores and descriptive writing that creates a picture in your head or tells a story. What we do is always write the music first, and the music has to have a vibe or paint some kind of picture. "Once we're all satisfied, we give it to Ivan to work on lyrics. He'll ask us what we were thinking about when we wrote it and base the lyrics off that. When you create a vibe and the vocal catches it, it's a double whammy in songwriting and adds another layer of emotion." 'AND JUSTICE FOR NONE" is available now in CD, vinyl, cassette, or digital formats. Click here to get it.